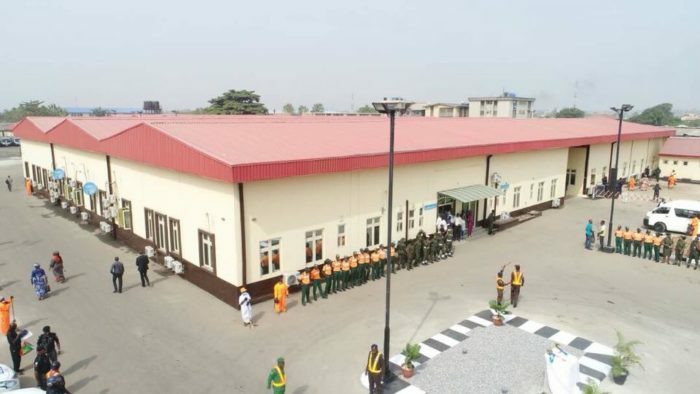 To ensure safety of lives and timely response to emergencies, the Lagos State Governor, Mr Akinwunmi Ambode has commissioned the Lagos Safety Arena, a one-stop-shop for security agencies and emergency responders in the state. The facility located at the Bolade-Oshodi will house the security and emergency responders in the state. Government agencies which would benefit from the facility includes; the Fire Service Department; Environmental Health Department, Lagos State Ambulance Services (LASMBUS), State Environmental Health Monitoring Unit (SEHMU), Lagos State Building control Agency (LASBCA), Safety Commission, Lagos State Emergency Management Agency (LASEMA), Lagos State Neighbourhood Safety Corps (LNSC) and the Nigerian Legion. Speaking at the commissioning, Governor Ambode said the Safety Arena was government’s response to interagency coordination of Inter-sectoral collaboration for Emergency Response as well as to promote effective Incident Management Systems. He stressed that the movement of the agencies into the safety facility will not only ensure adequate preparedness of the first responders but also improve the synergy between agencies. This according to him, will significantly improve the response time to most safety and emergency issues across the state. While acknowledging a significant improvement in security of lives and property across the state, Ambode appealed to security agents to always respect the rights of the citizens even as they go about in enforcing the laws and reducing crime rate in the state, stating that law enforcement must always be with a human face. “As you settle down into this new facility and help in making our state safe and secure, I want to appeal to you to always respect the rights of the citizens at all time. As law enforcement agents, the ethics of your profession must be adhered to while you go about your duties”, he stated. 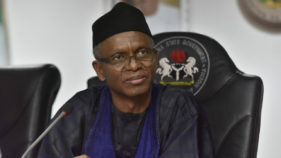 Earlier in his address, the Commissioner for Special Duties and Inter-governmental Relations, Oluseye Oladejo said, the second phase of the project would accommodate the Vehicle Inspection Service, a dormitory for the Task Force, a block of offices for the Nigerian Security and Civil Defence Corps (Lagos State Command), Vehicle Maintenance Workshop and a Mini Service Station. He stressed that the ministry have concluded plans to set up a unit for vehicle towing services to remove abandoned and accidental vehicles from the roads.